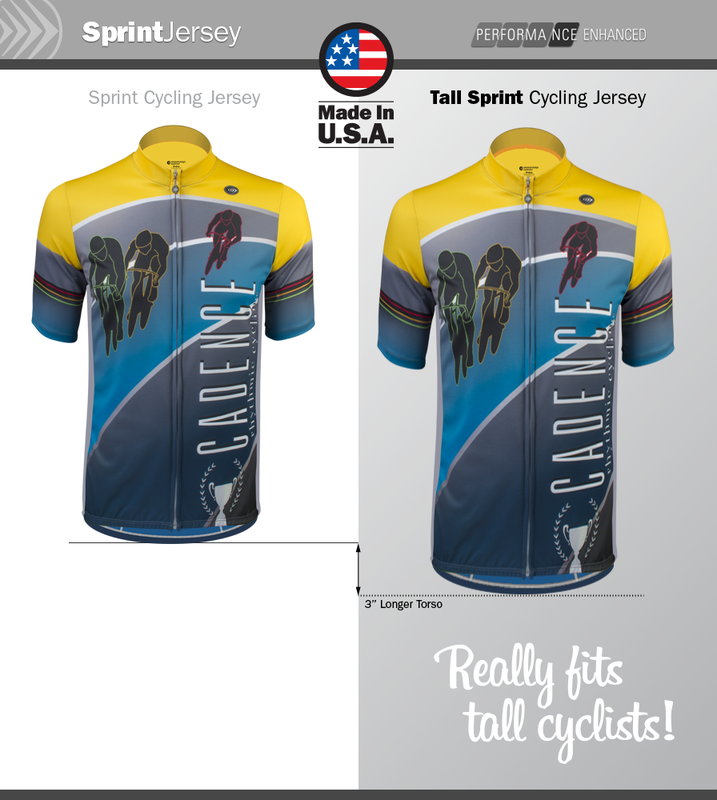 Tall man's Cadence Cycling Jersey helps you ride longer and feel stronger. Everything you need to keep your mind on the road ahead. You should not have to worry about your clothing when riding your bicycle. This garment is extra long for tall cyclists. It has the anatomical shape for the bicycle rider. Longer on the back and shorter on the front. This good fit keeps the garment in place so it doesn't flap around when it is windy outside. Wear alone or with a base layer. Fabric is soft, micro mesh knit from yarns of polyester that help the fabric stay dry through wicking. Moisture that is generated from your skin or the weather is wicked away for a dryer feel. The fabric has a natural stretch and yet feels substantial for all weather conditions. 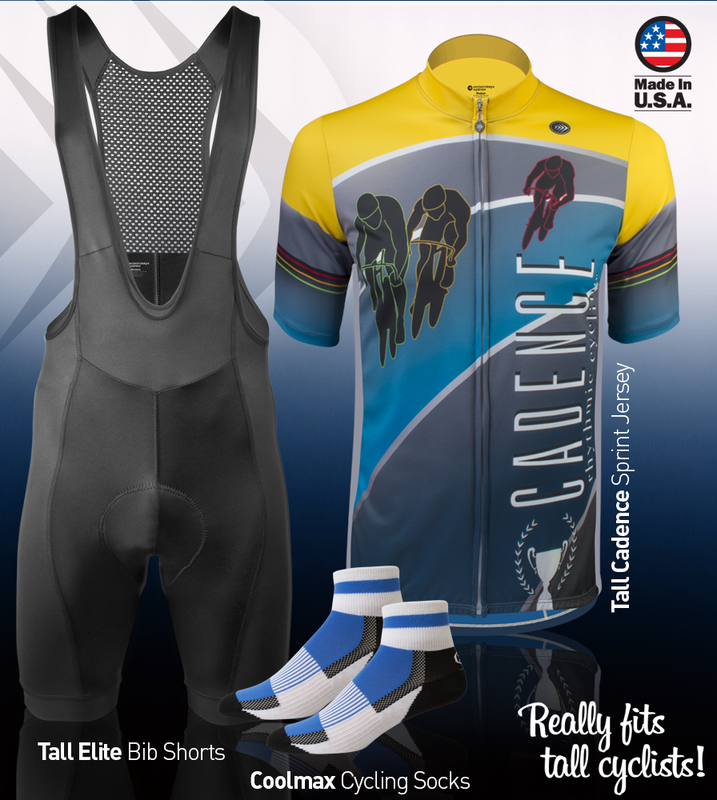 Tall Men's Cadence Bike Jersey is a rich retro set of color and look. It was designed by Evan, our design director. He was looking to honor our cycling heritage with this beautifully designed cycling jersey that is actually a piece of art. Part of his designer series. If you look close at the Jersey, you might even see if Major Taylor was there.